“At some stage yesterday – and it still unclear exactly how this started – but there were rival pro-Russian and pro-Ukrainian protests here. It led to fierce street clashes, which culminated in a huge fire in a building last night,” reported Sky News. 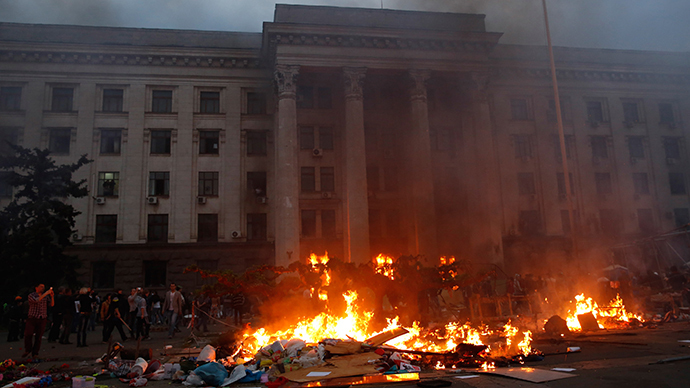 “Violence is escalating in Ukraine. 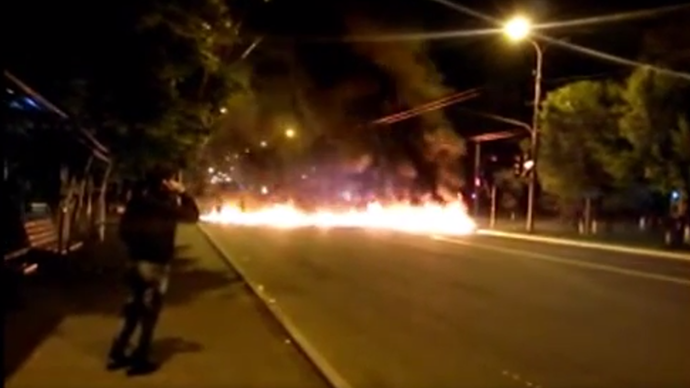 Police in normally calm Odessa say a clash between pro-Russians and government supporters led to a fire that killed at least 31 people,” said a report by Fox News. 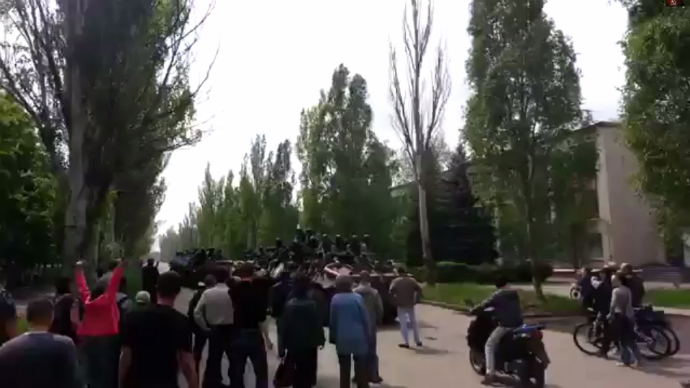 But the actual video footage from the scene of the incident clearly shows how pro-Kiev radicals are throwing Molotov cocktails into the Trade Unions House where pro-autonomy activists were trapped. 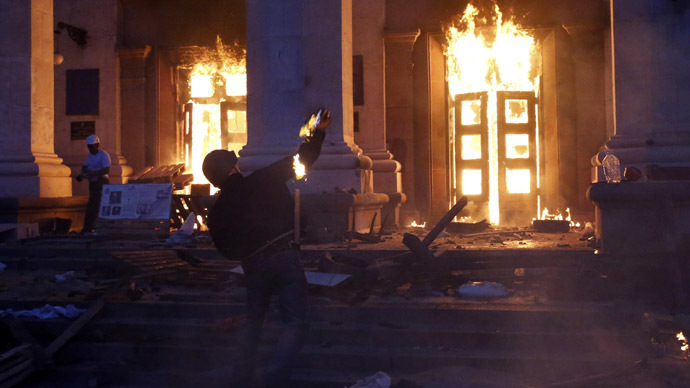 CNN covered the incident by stating that it was “unclear exactly what may have caused it [the fire].” Later, however, the channel acknowledged the fire was started byKiev supporters throwing Molotov cocktails at the building. The New York Times goes with the headline: ‘Ukraine Presses Pro-Russia Militants After Fighting Spreads to a Port City.’ The words “pro-Russian militants” could create the impression that those were not just ordinary people and anti-Kiev demonstrators trapped inside a burning building, but militants. And that kind of wording can almost justify the act of killing, notes RT’s Gayane Chichakyan. 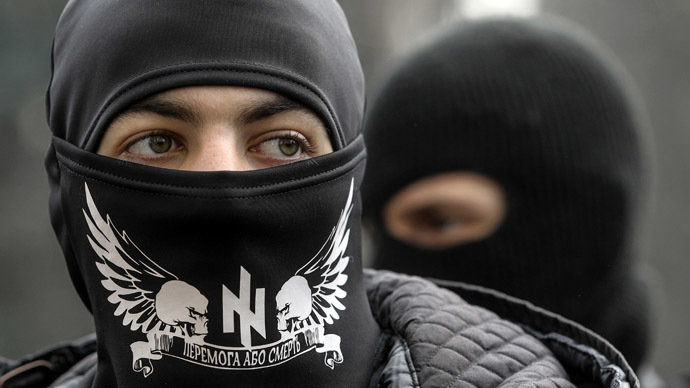 Such statements - be they from Right Sector, or the coup-imposed government - perpetuates a narrative that whoever opposes the Kiev authority and feels strong ties with Russia is simply a puppet of Moscow. And this narrative is just perfectly in line with how the US and European officials see the situation. They have firmly sided themselves with the authorities in Kiev and are ready to justify and defend whatever action Kiev takes against the protesters, says Chichakyan.